This is the full polyhedral dice set in my 'Peel' dice design. In this design the faces of the dice are shaped as if they have started to peel up on the corners. The faces feature large numbers in an easy to read bold font. 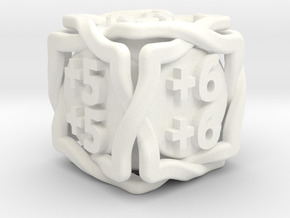 A high readability of the numbers is achieved by the contrast between the color of the material of the faces and the dark interior of the dice that is visible through the cut-out shapes of the numbers. 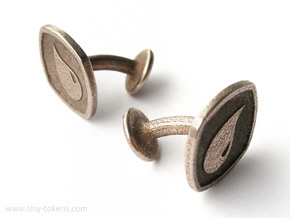 Because of this this design works best in one of the lighter metal finishes. 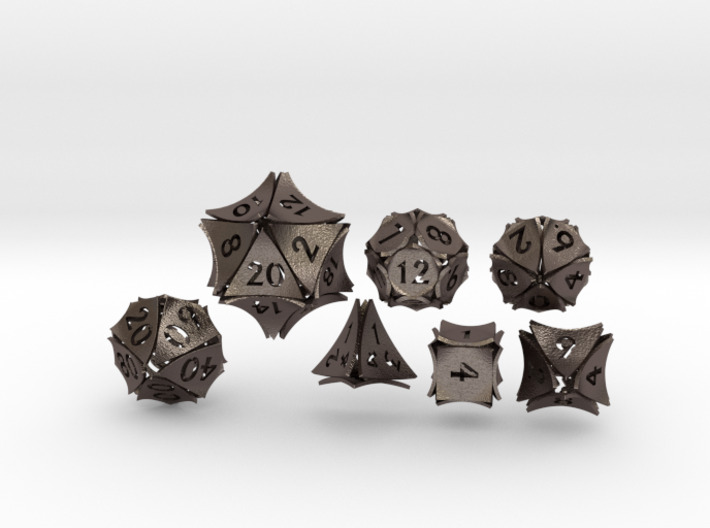 The full polyhedral set consists of a d4, d6,d8, d10, d12, d20 and percentile d10 (a.k.a. 10d10 or decader). 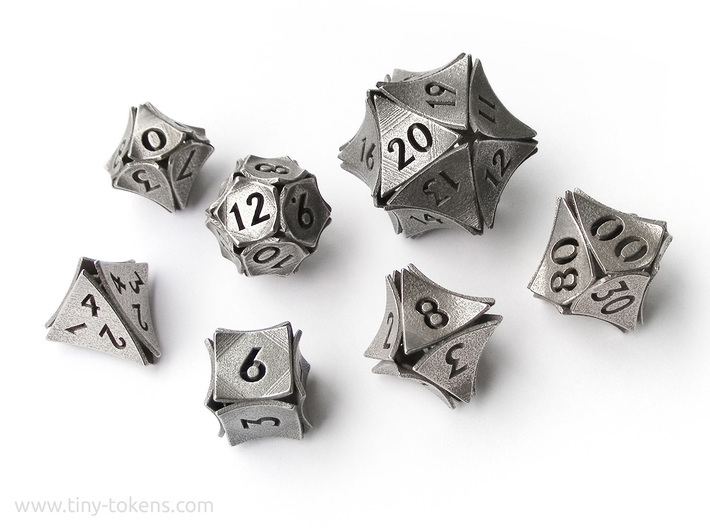 Individual dice from this set are also available as single items in my shop here. 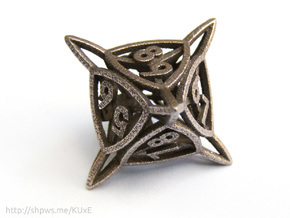 Because these dice are 3d printed in steel, and because they are larger to be able to conform to the minimum detail size and wall thickness requirements for this manufacturing technique, they are a little heavier than regular dice. Because the designs are hollow though, they still handle and roll very well. 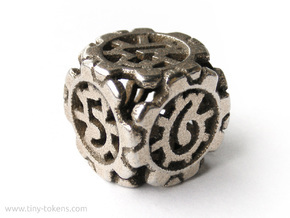 Great care was taking in designing these dice to ensure that each one is well balanced and gives a fair roll.